Summer is upon us. Hard to believe! Gardenias are in full bloom here in North Carolina and the fragrance is amazing!! I've been able to keep them in my kitchen for weeks now and I'll be sad when they are gone! I kept the twins solo one night....two feedings, a neighborhood walk....pushed them in the swings, got them ready for bed and tucked them in. Whew! I felt like I had run a marathon. That twin parenting is no walk in the park. But, I loved every minute and am so grateful their mom and dad trust me with them! Baby B and I got to spend time together last week. That boy doesn't slow down for much! He is active from sun up until sun down. He loves being outside...and so do I. Memorial weekend Poppy and I built a playset. NOT for the faint at heart...no kidding. It took us three days of hard work! The kids have tried it out...and they love it! My dad was on a cruise so I wasn't able to be with him. So glad he and my mom got to go though. I talked with them and they were having a blast. I mean Alaska??? What's not to love??? 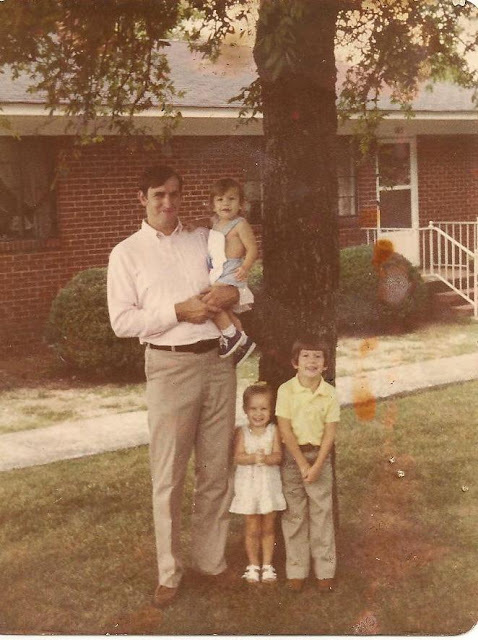 Posted a pic on facebook of hubs and the kids when they were one, two and four. We had lunch with some of the kids and grands on Sunday. They played all day on the new playset....making mud pies in the little house. We ate our breakfast and our dinner *upstairs* in the playset. 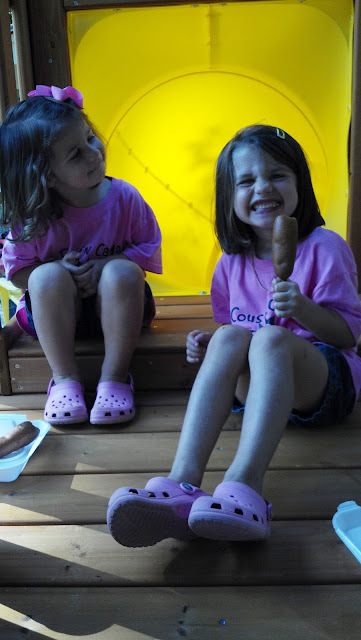 Cousin Camp is next week. We've had three new babies since last year. Should be lots of fun!! It's time to get busy!!!! 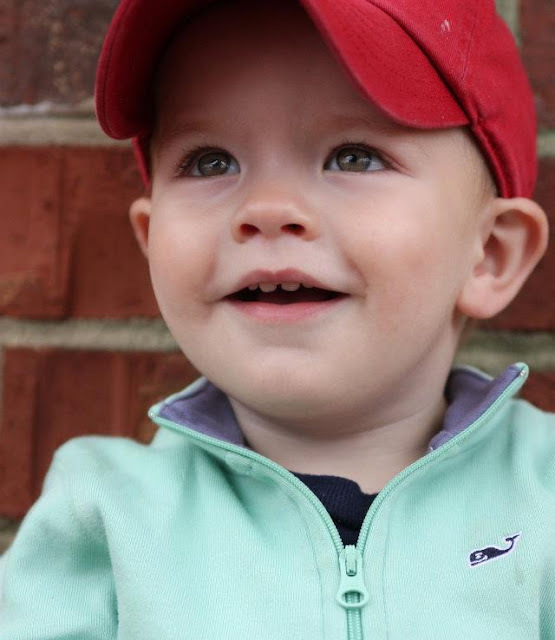 I've said this before, but you have some of the most beautiful grandchildren ever. That picture of Baby B is precious! I know the cousin camp is always fun, and here's hoping this year will be no different! Those gardenias...I can smell them just looking at the picture! I know there have to be lots of those in heaven! Those gardenias are beautiful and I can only imagine the smell. I am super impressed with that play set! That's awesome work..... What a blessing to your family. Cousin camp sounds like SUCH a great idea!!! With family in many different states, it always warms my heart to hear about families who can get together often. Enjoy!! !